Less than a week after Disney announced a live-action version of Aladdin, The Hollywood Reporter reveals the studio is also developing a live-action remake of The Sword in the Stone. Disney has hired Bryan Cogman, a writer and producer on HBO's Game of Thrones, to write the screenplay. Brigham Taylor, a former Disney production executive, is serving as a producer on the project. The original animated movie The Sword in the Stone was released in 1963, the studio's last animated movie to debut before the death of Walt Disney himself in 1966. The story is loosely inspired by T.H. White's novel of the same name, which was later added into his multi-book King Arthur series The Once and Future King. The plot centers on a young King Arthur who begins training with the wizard Merlin, leading to Arthur pulling the enchanted sword from the stone to become the king of England. No details were given for how the story may be altered or modified for this live-action remake, which doesn't have a director attached at this time. Bryan Cogman has been nominated for four Writer's Guild of America Awards for his work on Game of Thrones, and he has delved into the fantasy genre on the big screen as well. He is currently writing 20th Century Fox's Magic: The Gathering, and YA fantasy project The False Prince for Paramount Pictures. 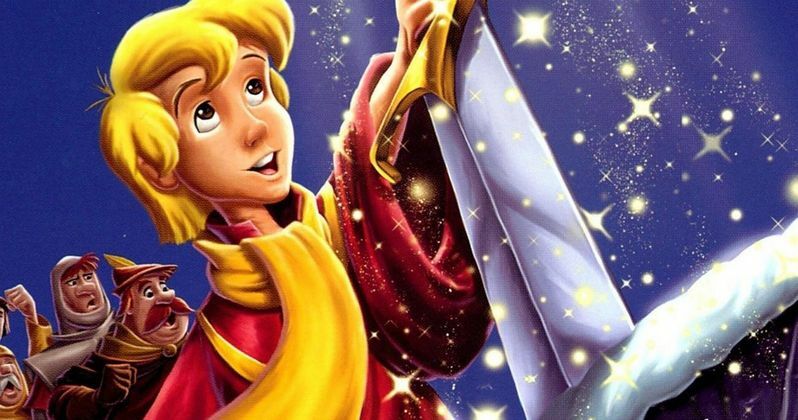 The Sword in the Stone marks the third live-action remake of a Disney movie announced this month, following Prince Charming and Aladdin. Disney has already released Cinderella this year, with The Jungle Book coming next spring and Beauty and the Beast arriving in 2017. Disney is currently developing a slew of live-action adaptations such as Dumbo, Winnie the Pooh, Mulan, Pinocchio and Tink. Brigham Taylor's producing credits include The Sorcerer's Apprentice, Tron: Legacy, and Tomorrowland. He is also producing a pair of highly-anticipated projects for Disney, The Jungle Book and Pirates of the Caribbean: Dead Men Tell No Tales, which is currently shooting in Australia. What do you think about a live-action version of The Sword in the Stone?